Each year we begin production of our Summer Issue in early August, right after returning from 100% Design South Africa at Decorex Joburg. As always, this year’s exhibition did not disappoint. VISI partnered with 100% Design SA on a new feature, Designing in Wood, which put the spotlight on woodcraft and other skills required to produce wooden furniture and accessories. We were delighted to be associated with the magnificent work by established designers and some exciting new talent. Read about it on page 128. As I moved through all of the stands, the one phrase that I heard again and again from new exhibitors was, “We sell online and our designs can be flat-packed”. This gives me so much hope that local design will be more accessible to enthusiasts around the country… and the world. At the beginning of September I was fortunate to attend Maison&Objet in Paris. This year the organisers rearranged the layout of the show to make it easier to navigate. Still, I found it almost impossible to take in all that was on offer in the eight halls! It was fantastic to see a handful of local producers selling up a storm. I hope this issue inspires you to experiment with mixing modern monochrome and millennial pink. Dook perfectly captured this graphic colour combo that’s been used to great effect by Toni Tollman – of the stylish South African Tollman hotelier family – on their latest addition to the Uniworld Boutique River Cruises fleet, The B (page 48). This summer, take time out at Natte Valleij near Stellenbosch (page 100), escape to Halfaampieskraal in the Overberg (page 58), or indulge in some fabulous new books (page 186). Karen Dudley’s latest book, Set a Table (page 68), is so much more than a recipe book, and Halfaampieskraal’s book, The Way We Live, features magnificent photographs by Ulrich Knoblauch (page 66). 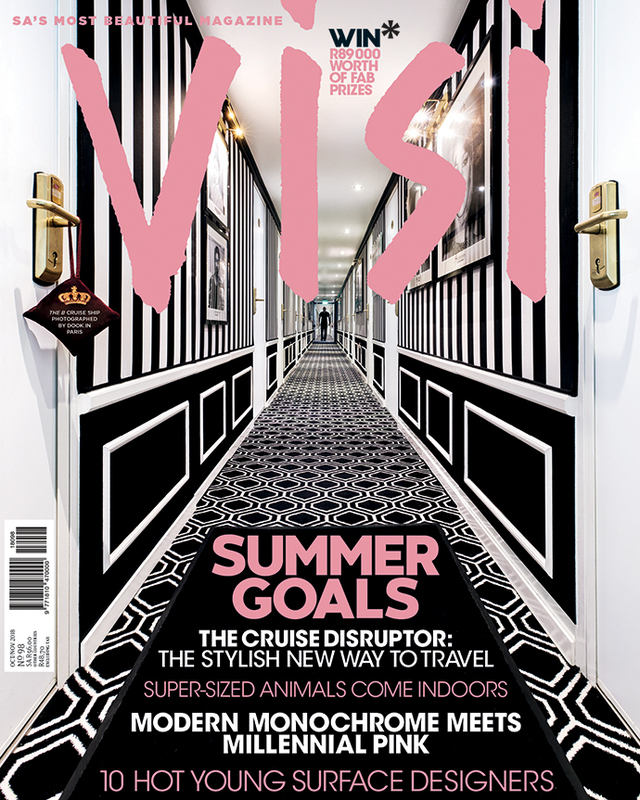 Look out for our Holiday Issue, VISI 99, on sale from the beginning of December, which will introduce you to some breathtaking new holiday destinations. 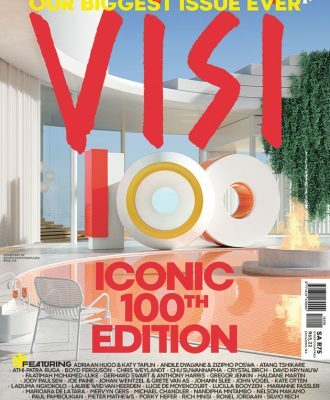 And then get ready for the big one… VISI 100 will be on sale from February 2019! It is set to be like no other magazine you’ve seen: big, bold, brave and, of course, beautiful! You cannot afford to not be part of this milestone issue. 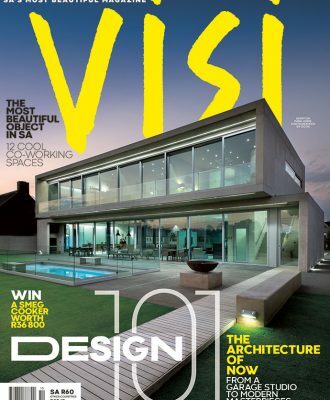 If you prefer to read your favourite magazine in digital form, on your iPad, tablet or desktop computer, you can subscribe to the digital edition of VISI via the below websites. 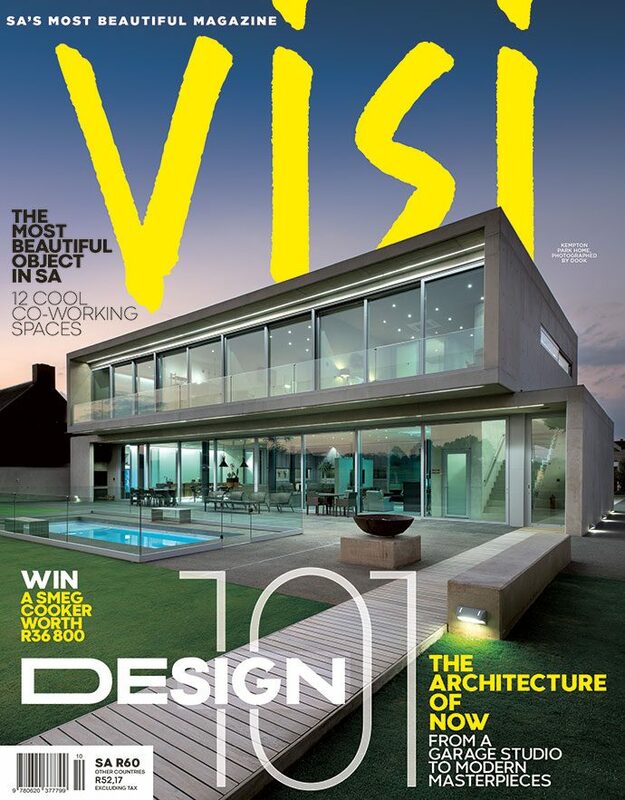 It will cost R234 for a one-year subscription – that’s a 30% discount on six issues.